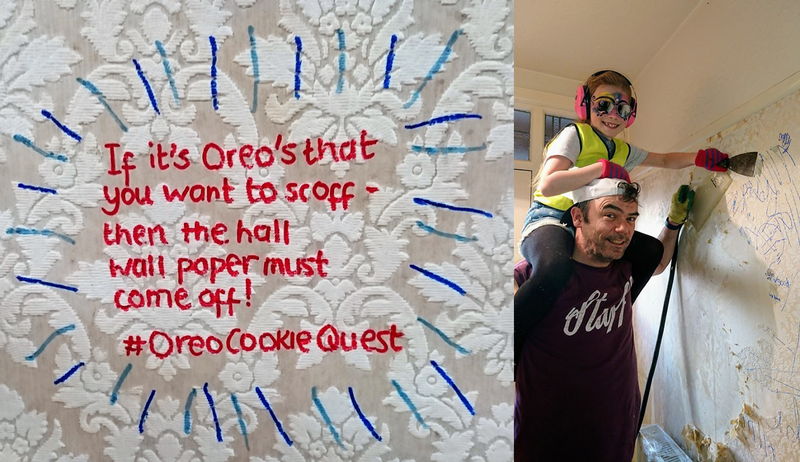 In our house we absolutely LOVE Oreo's, in fact we've been busy hunting daily for things around the house to scan on the Oreo Quest App (we're currently 27th in the country on the leader board!) 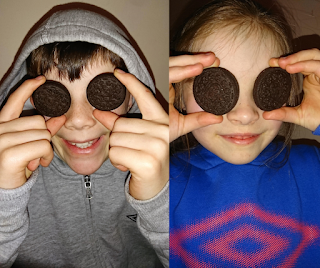 so when we saw the BritMums challenge to put on our own joyous quest at home, we jumped at the chance. 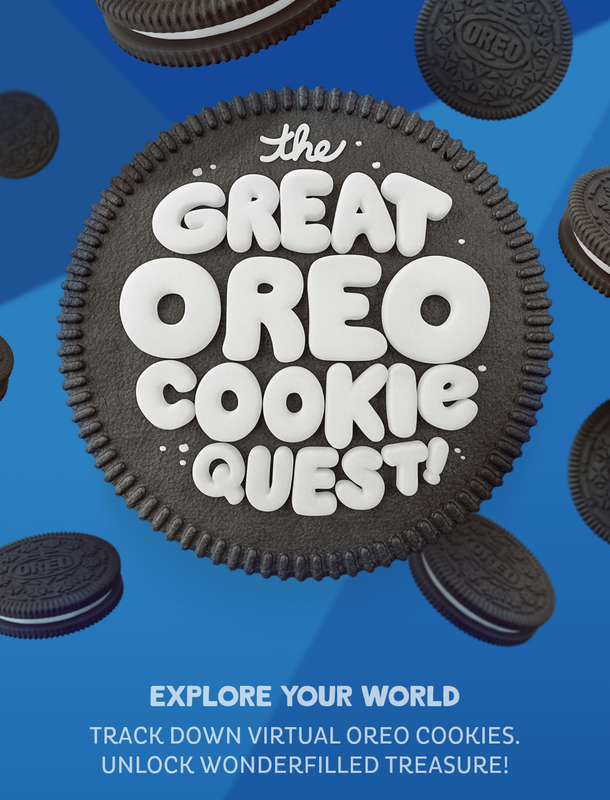 Being one of the first 100 to apply, Oreo sent us 2 packets of thier finest original cookies to use as prizes for the quest. Since Mister A was away for the weekend and Little E was missing her big brother we decided to set her a quest to have fun! Here's your first quest of the day, it's time to make slime - ingredients on the tray! Ok, now it's time paint your face, grab your kit and we'll get on the case! You can draw on the walls (we'll never say this again)! 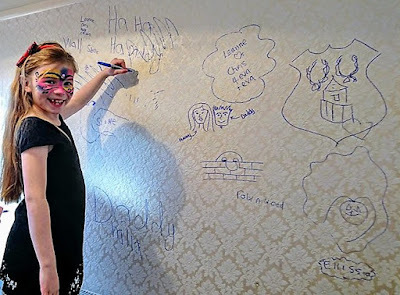 Let's decorate - grab your pen! Maybe the next one was a little harsh but there was a job needed doing so Little E needed to help out!! 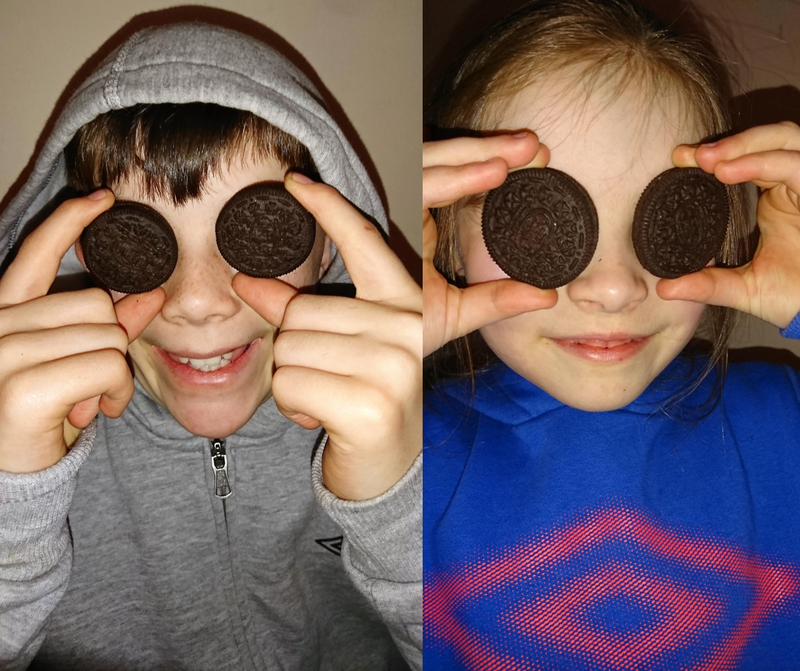 ...and of course there were more Oreo's to celebrate the return! 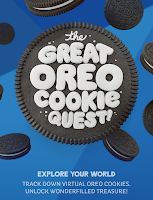 Oreo is running The Great Oreo Quest promotion on special packs now, so head to the shops and pick up a pack and grab the chance to win awesome prizes, including a once-in-a-lifetime trip to California and the Googleplex. Go, go, go! 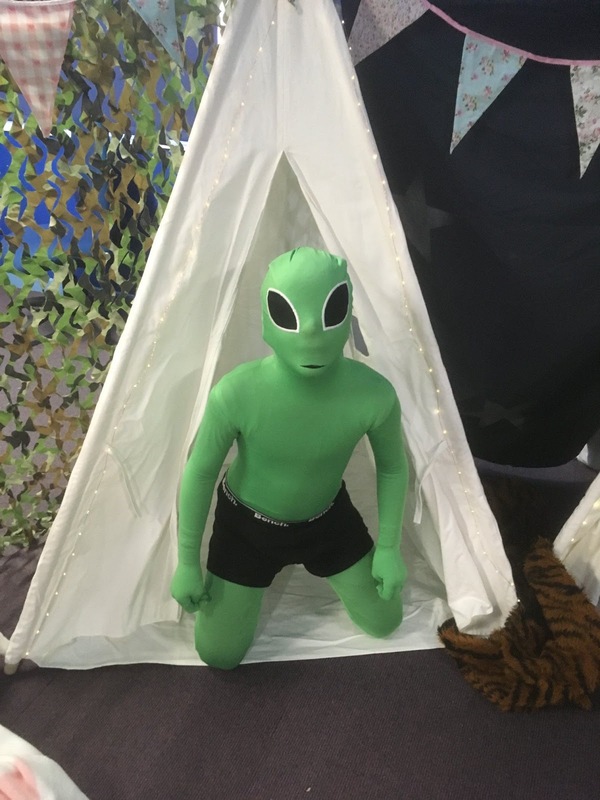 My movement isn't great following a recent operation so unfortunately making a costume wasn't possible this year. 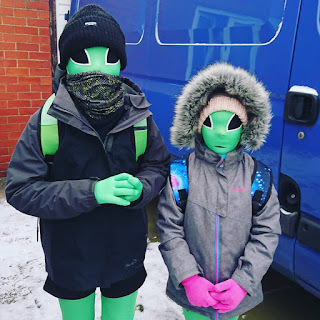 I was also worried about the cost of purchasing a dress up outfit too when I remembered I had won these kids morphsuits a while ago. I did well to remember where they were and to our surprise they fitted perfectly! I could not stop laughing when they tried them on. 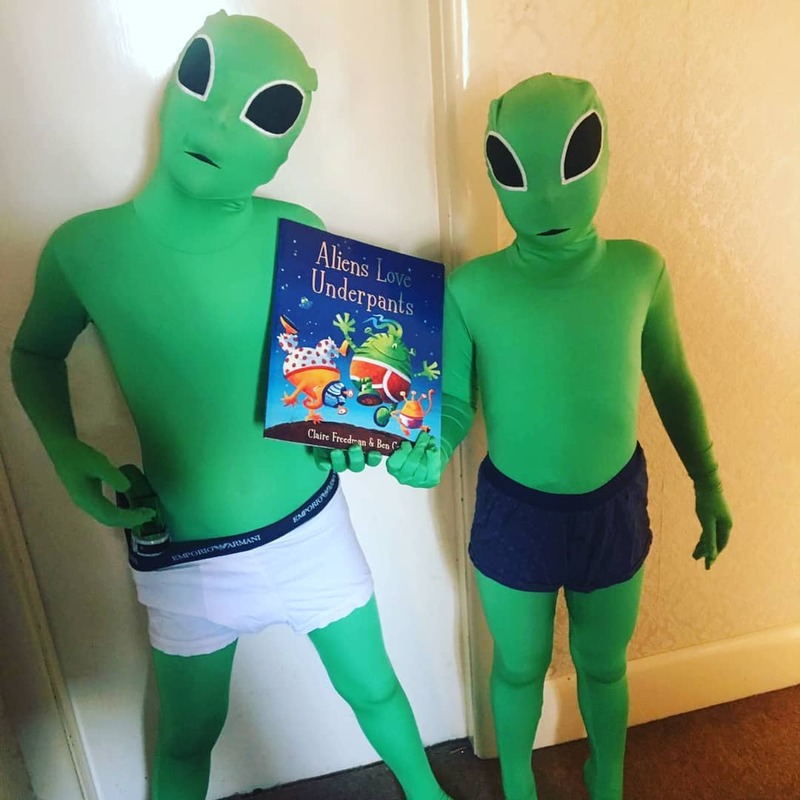 Mister A's favourite book was Aliens Love Underpants when he was growing up so we dug that out too. God knows what people driving past them on the way to school must have thought!! Crazies!! No prizes this year unfortunately so we will buy them a book each ourselves. Hope you all had a good one. What did your children dress up as?